During laser cataract surgery, the natural lens of the eye is removed and an artificial intraocular lens or IOL is inserted after the cataract is removed. Phacoemulsification is a modern technique that is used during cataract surgery to liquify the cloudy lens and break it up into small pieces. The procedure is carried out using an ultrasonic device called the phaco probe. Once the cataract is remove through phacoemulsification, an intraocular lens is implanted inside the eye. The intraocular lens replaces the natural lens in the eye and greatly improves vision. Phacoemulsification is a relatively modern technique that was developed somewhere around the late 1960s. It inflicts less trauma to the eye as compared to the traditional procedure. In the traditional procedure, the lens is removed in one large piece instead of liquifying and washing it out. The difference is that phacoemulsification requires a very small incision as compared to the traditional method. Phacoemulsification might be less difficult for the patient, but, it is a relatively complex procedure and surgeons had a high learning curve before this procedure became widely accepted. Once it was implemented, surgeons preferred phacoemulsification to the traditional methods of cataract removal due to its high success rate and reduced recovery time. Earlier, cataract surgery using traditional methods required a longer recovery time. Soon after phacoemulsification was invented, technology brought about the intraocular lens. Surgeons began implanting the lens soon after phacoemulsification and the outcomes improved by a good percentage. If laser cataract surgery is performed, the laser is a seperate first step. The modern advanced cataract technique involves no injections or needles near the eye. Sedation and eyedrops are used to keep the patient comfortable. An incision is then made into the eye with a diamond scalpel for the highest precision. 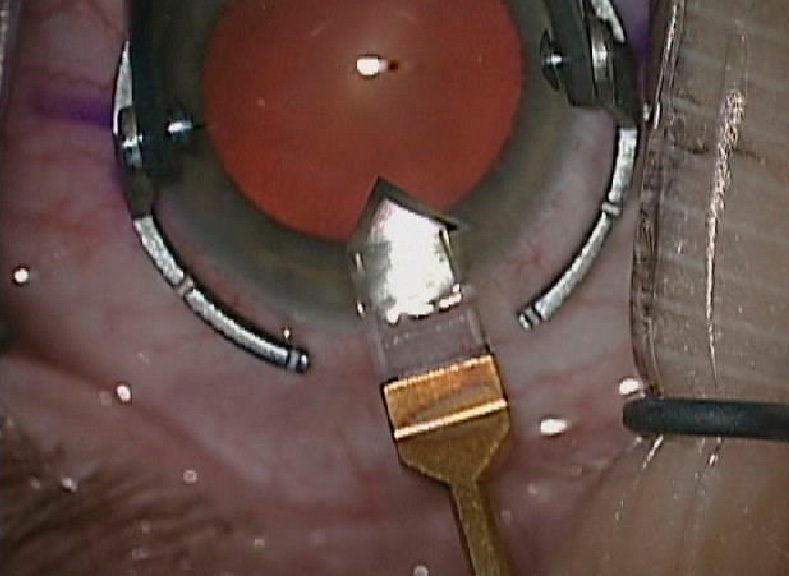 Afterwards a circular incision is made along the membrane of the cataract and the phaco tip is inserted. Ultrasound waves emitted by the phaco tip break down the cataract into a liquid/gel and then removed through suction and irrigation. Once this is done, the intraocular lens is inserted into the eye using an injector. No sutures are required. Immediately after the surgery, a patient is required to wear eye shields in order to protect the eye from any damage. Following the surgery, a patient is required to take proper eye drops to prevent infection. Complete healing can take up to a month depending upon the density of the cataract.